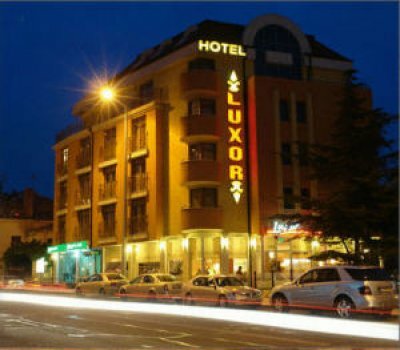 The three star Hotel Luxor is conveniently situated in the Burgas' city centre, 150 metres away from the beach. Luxor hotel offers rooms and suites with free wi-fi and a restaurant specialized in Italian cuisine. Each room is decorated in Egyptian-style and has a cable TV, a mini bar and an en suite bathroom.